Is Susie permanently in Dictionary Corner now? She used to be one of many, but maybe pretending to find Richard Digance hilarious can only ever be a job for one person. 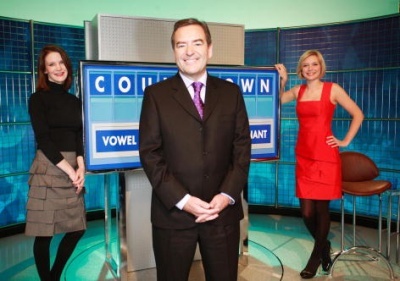 Funny, isn't it, how Jeff now hosts this big popular quiz, and yet everyone still only thinks of him as the Soccer Saturday presenter. YouTube have taken down the clip of when Jeff threw in some extensive encyclopaedic information about a word and after Dent had given due praise commented "I know, unbelievable, Jeff" and a small but vocal portion of the audience cheered.